Love love love, these stools. Dimensions 16.0 In. X 16.0 In. X 26.5 In. Great counter stools for the price. We had no problem putting them together. The blue velvet is a beautiful color and texture. I definitely recommend them! 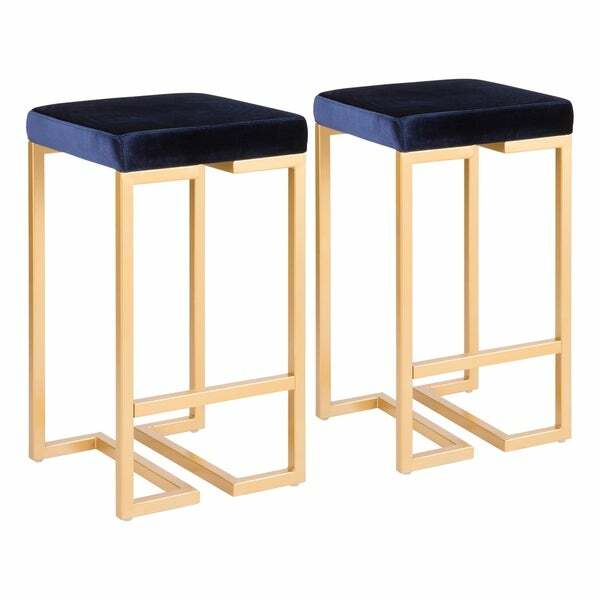 Very good quality and beautiful bar stools. Easy to assemble, sturdy, and cushion is comfortable. Fabric matched our couch perfectly, love them!! Even better than the picture. Easy assembly. Very study and great quality. Would definitely recommend. The fabric on the seat is extremely soft. These arrived in almost perfect condition. Assembly wasn’t too hard, maybe 15 minutes per stool and they look beautiful in our kitchen. The blue velvet is gorgeous and the gold is a satin/eggshell finish so not too shiny, which is what I wanted! One plastic base (to keep floor from scratching) was shattered but overstock CS sent me a replacement right away. Got here in a flash...I've opened the boxes and can't wait to assemble them! 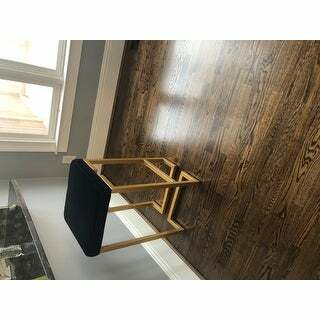 Have bought other stools from Overstock and they were perfect so I know these will be too! Gorgeous chairs! They match my kitchen/decor perfectly and are the perfect height for our breakfast nook area! It took us about 20 minutes to put together both bar stools. Very pretty to look at but if you're not handy and equipped with a drill, super adhesive glue, and screws that fit better, don't bother. The holes don't match up with the cushion and the legs. I had to get someone to drill another hole to align. One of the plastic covers for the bottom of the legs was shattered. Probably during delivery. Had to glue that together and stick a floor protector over it. These chairs looks exactly like they do in picture! 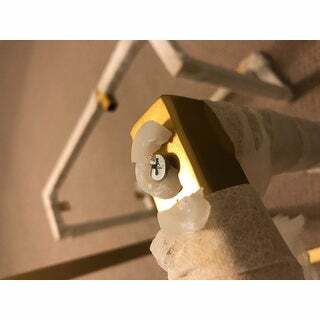 They are easy to assemble, beautiful and sturdy! Highly recommended! "Is there any similar stool that comes with a silver base?" We currently only have these stools in the gold painted finish. "Could you please tell me what size(Height) bar these work with?"